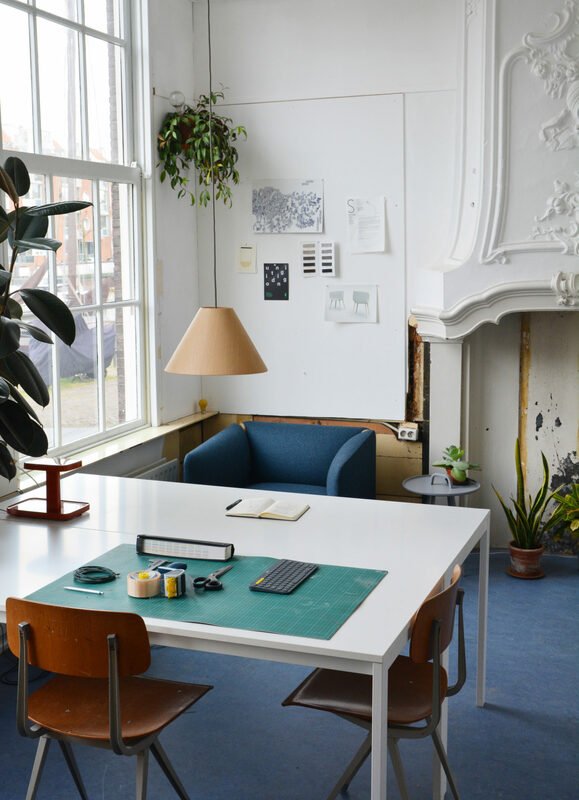 Studio Johan van Hengel | Johan van Hengel is a furniture and product designer based in Rotterdam, the Netherlands. 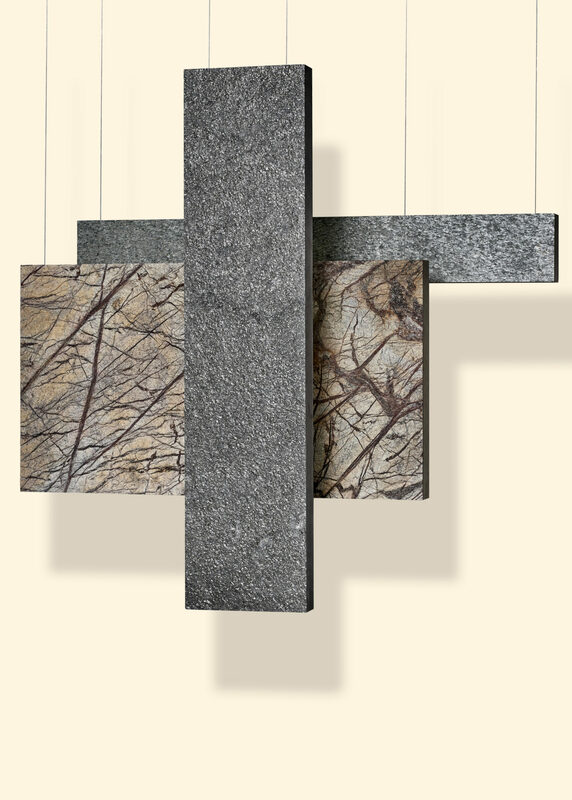 A series of pendants that seem to consist out of heavy solid slabs of slate and marble. 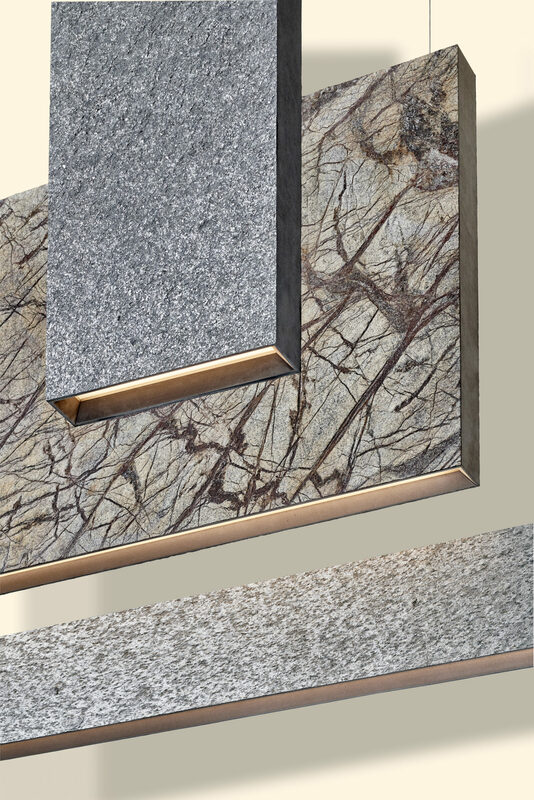 However, while the surface consists out of real stone, these lamps are actually hollow, resulting in an illusion of heavy blocks suspended by thin wires. 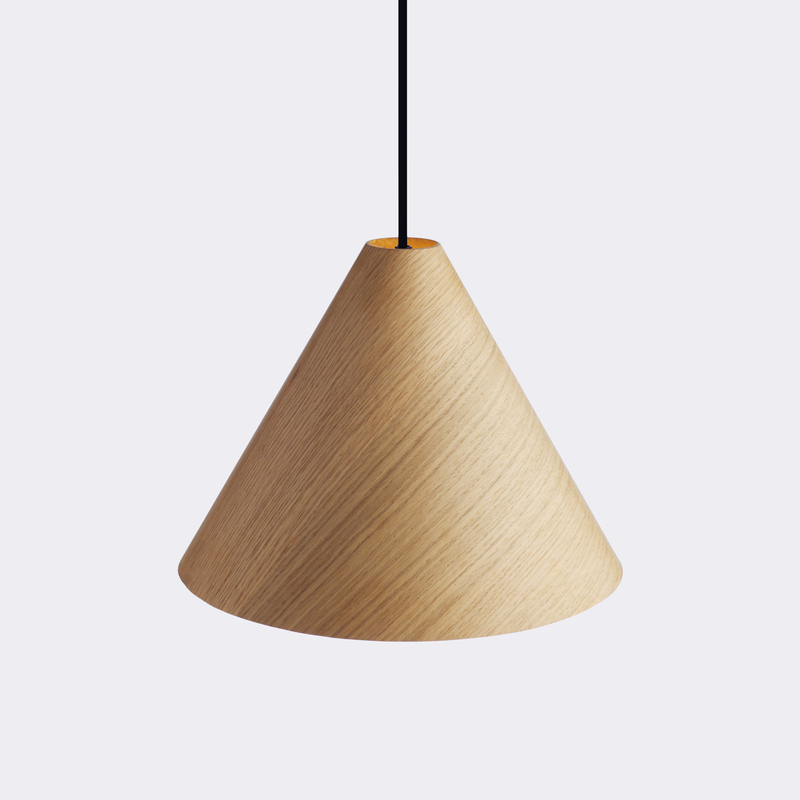 The lamps can be installed in decorative spatial compositions but can also be very functional as task lighting or as uplight for indirect lighting. 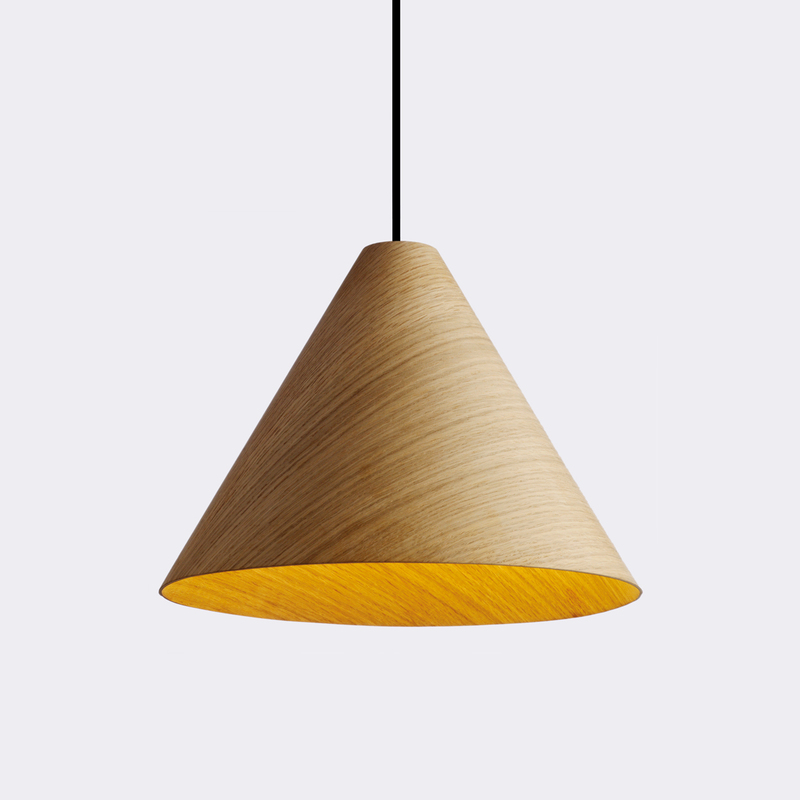 A lightweight oak veneer lampshade characterized by its harmonious woodgrain pattern. 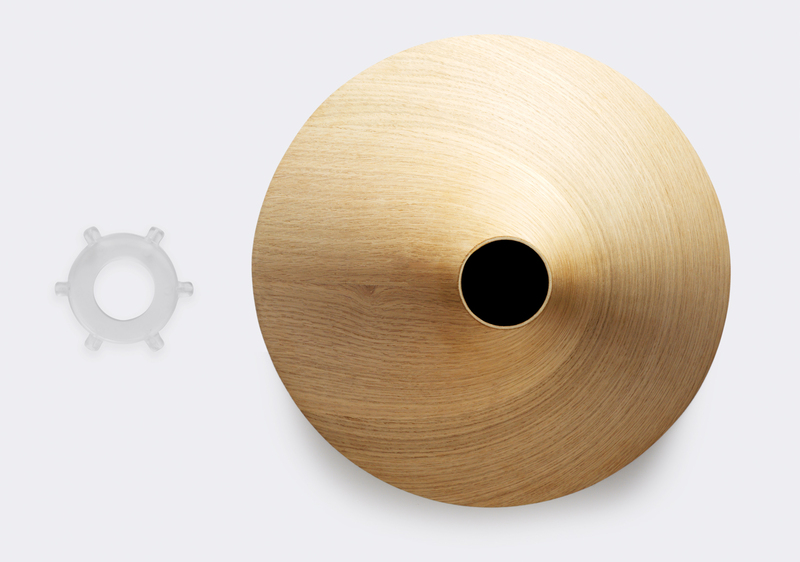 The lampshade’s seamless surface is achieved by aligning the ends of semicircular veneer sheets at a 30 degree angle. 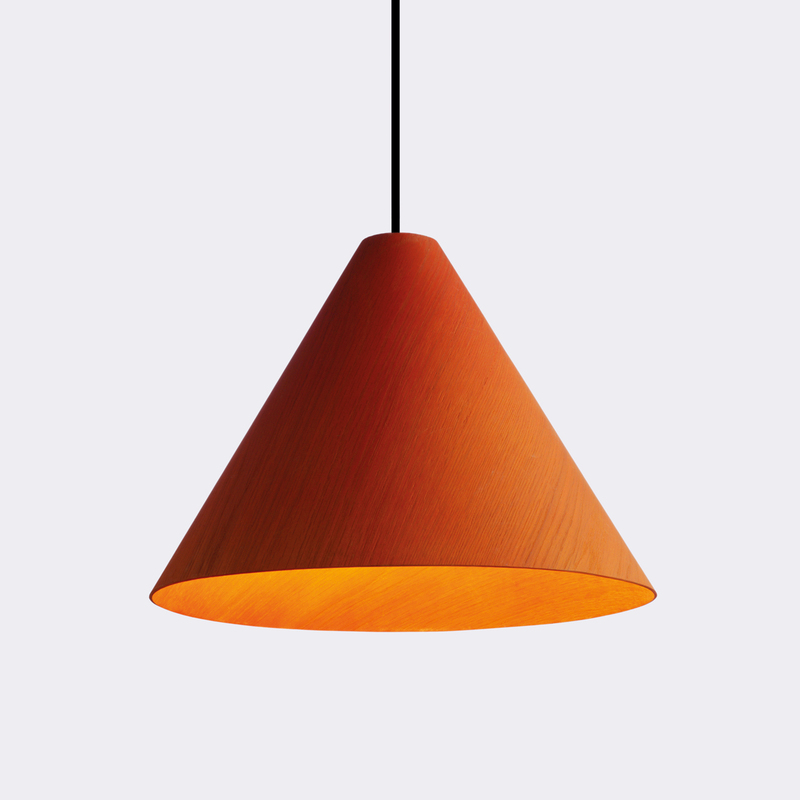 The layering of conical veneer elements yields a solid shade that is completely opaque. 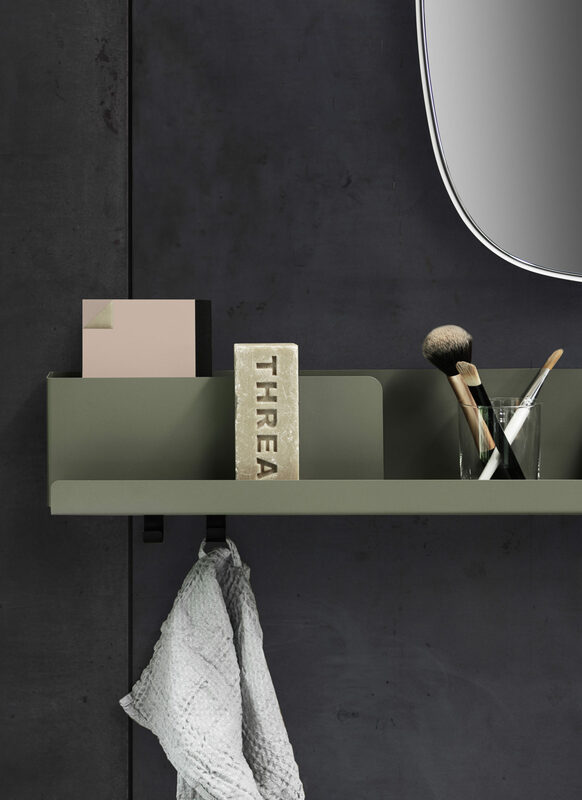 Delicate in appearance and rich in tactility, 30degree is available in green, orange and in a natural finish. 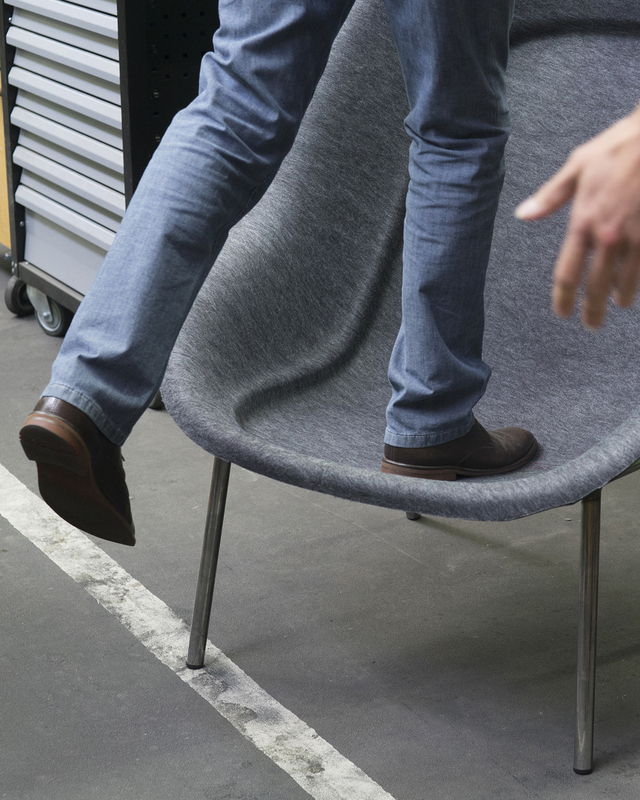 Nook is a cosy lounge chair that embraces the need for privacy within social settings. 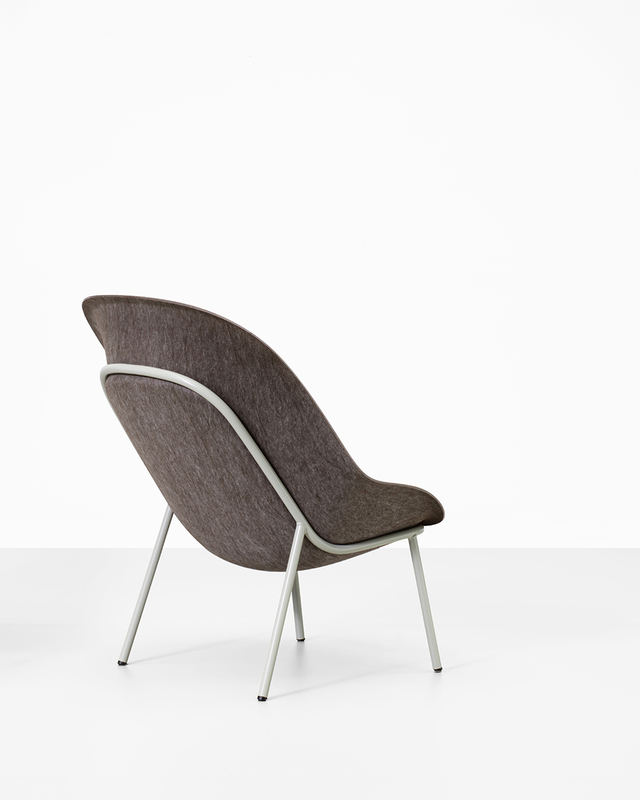 Composed of three essential parts, the chair offers a quiet place of refuge from which to both relax and mingle. 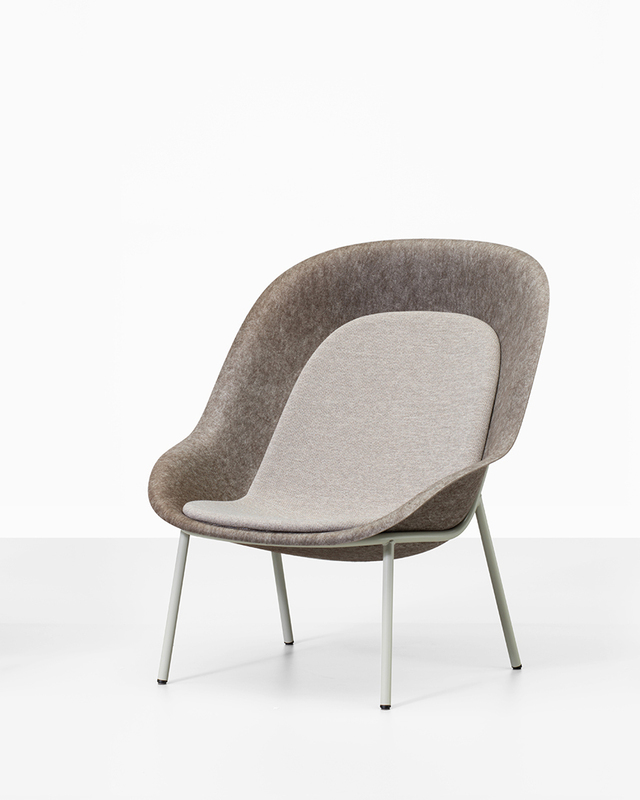 Based on De Vorm’s PET-felt technology, Nook’s distinctive shape is determined by a dramatic pressed-felt shell that gives the chair its inviting personality and aesthetic. 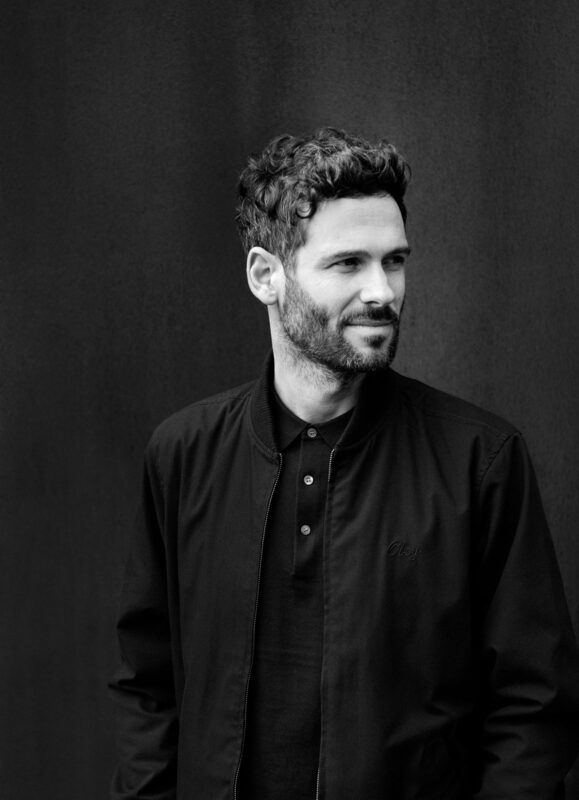 The seat’s fluid back- and armrests arise organically from the shell’s structure, providing shelter and support, while generous proportions invoke a sense of privacy and protection. An insert in the seat accommodates an upholstered cushion for a superior level of comfort. 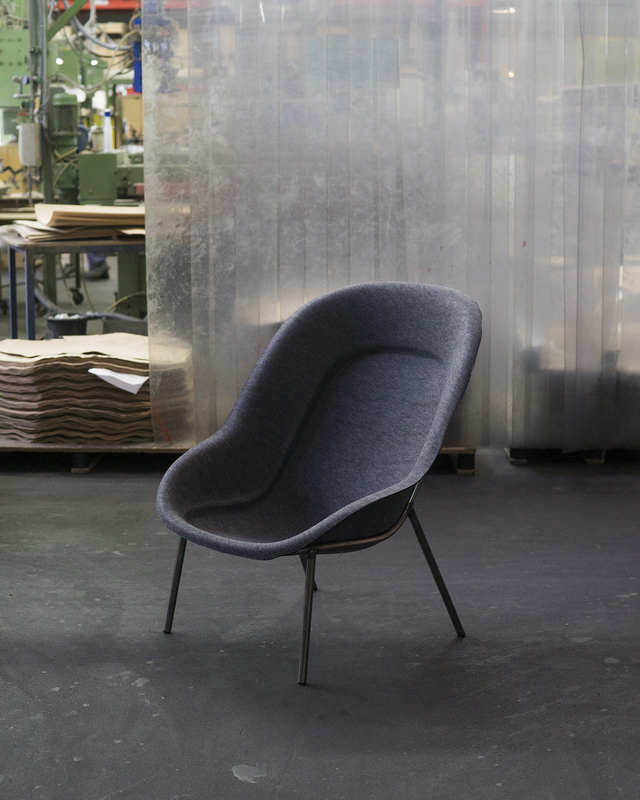 Enveloping the shell from the rear is a powder-coated steel frame that holds everything in place while simultaneously outlining the chair’s original form. 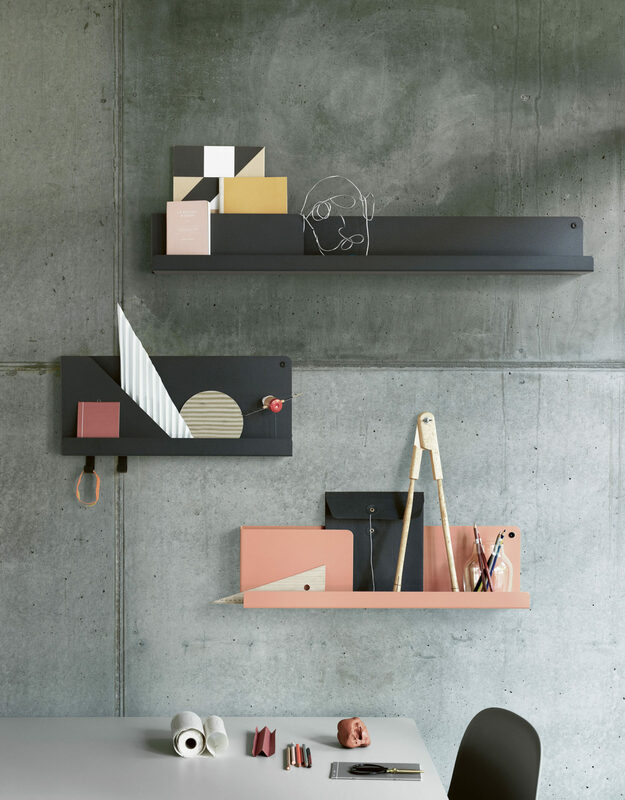 Folded is a sophisticated metal shelving system for the organisation and display of essential everyday objects. 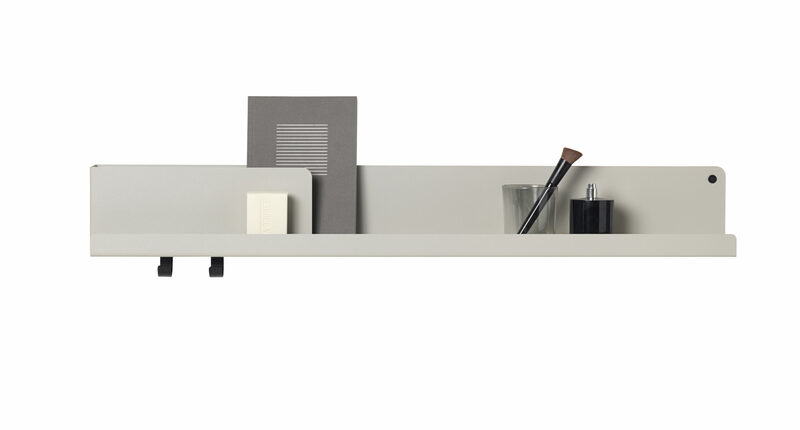 Inspired by a play on layers and shadow, the slender shelf’s unique shape is based on a seemingly simple bending technique involving a single sheet of ‘folded’ metal. 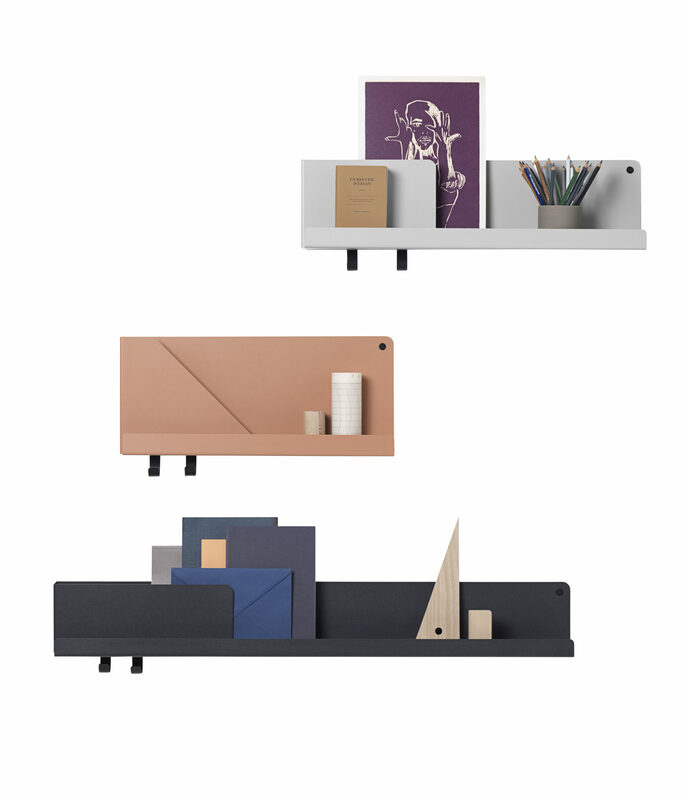 The minimalist fold acts as a practical partition for graphically separating and securing items such as mail, books, perfume and more. 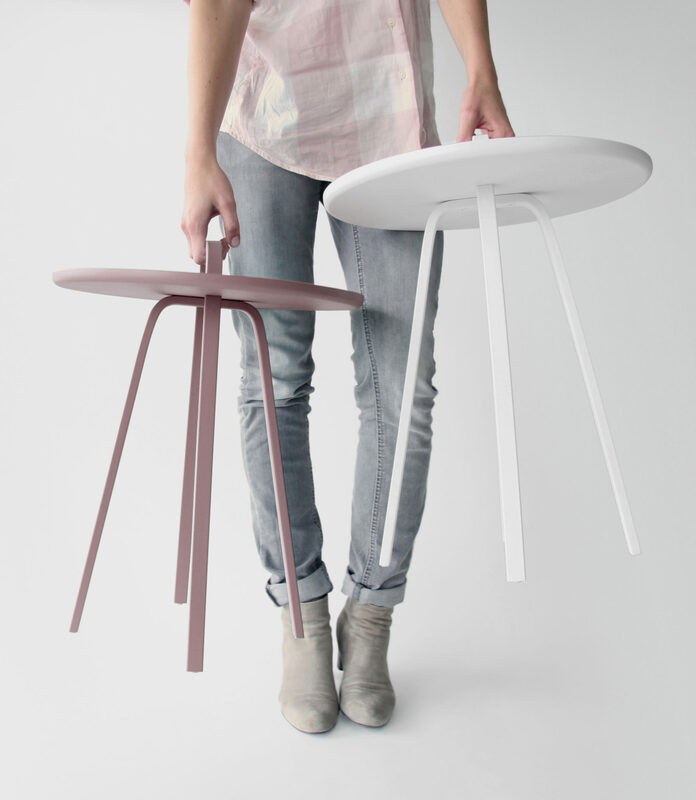 TOR is a side table that does not need a fixed location, it is designed to be moved around. 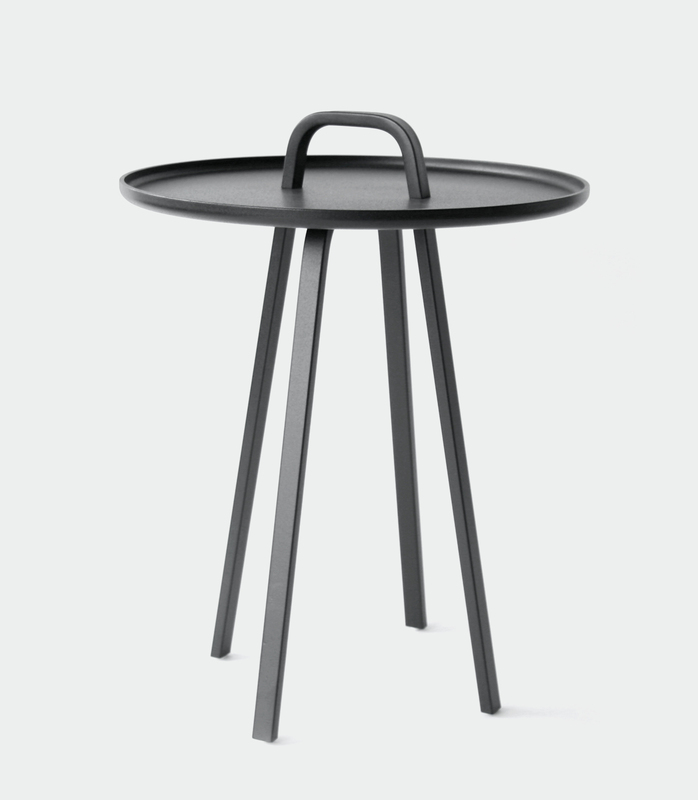 The legs extend through the tabletop creating the grip and giving the table its playful and charming character. 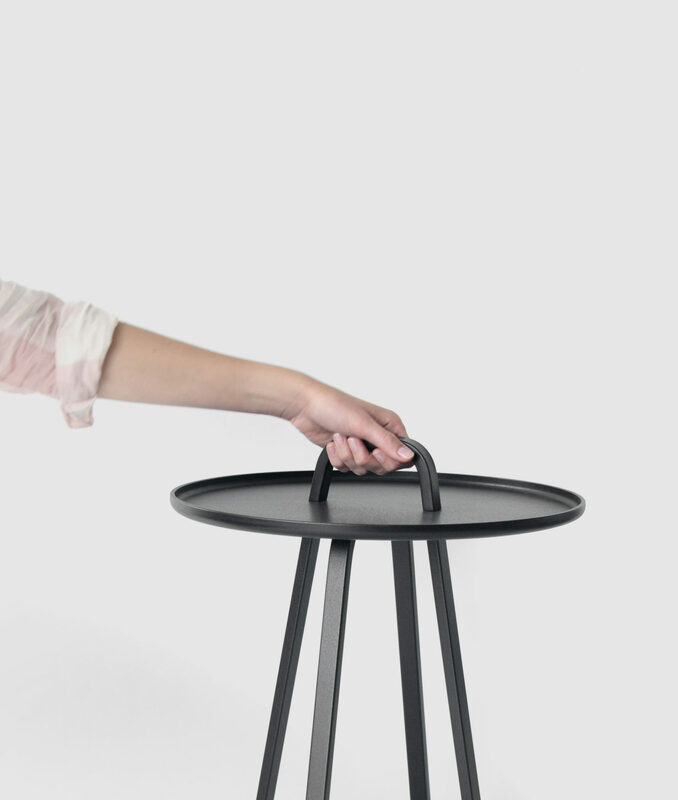 The raised rim of the surface prevents objects from falling off.